Find reputable traders, vetted by Trading Standards, and recommended by customers with ratings, reviews, images and videos to help you make a more informed choice. 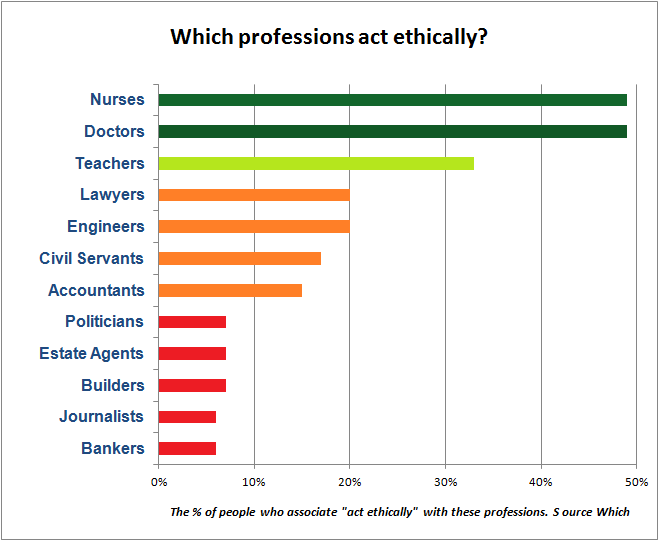 Many of us have lost faith in business ethics, as shown by a recent Which survey. Even highly-trained professions such as doctors, nurses, teachers, engineers and lawyers are viewed as not always acting in our best interests, while builders, bankers, estate agents, journalists and politicians are seen as poorly trained, poorly regulated and unethical. So where can you find a recommended, reputable builder? ... or carpenter, decorator, electrician or any other trusted trader? Faced with this crisis of confidence, many local authorities have set up lists of reputable businesses that have passed a stringent vetting process. This vetting is carried out by Trading Standards, who have access to confidential information about the complaints raised by consumers so you can be sure that these are reputable businesses, which means that they have no adverse history of consumer complaints and that they have agreed to follow the spirit, as well as the letter, of the law. The majority of these schemes also have a formal process for collecting and publishing consumer ratings and reviews. This helps Trading Standards to monitor the work of these businesses and it also means that consumers have a great deal more information to make an informed choice about choosing a trader. Things will still go wrong sometimes, but Trading Standards will be there to help you if you are unhappy, and they will remove any business from the list if they don't behave reputably. Most have a formal process for handling complaints and you can find this information of the pages of this website. Referenceline has been proud to support a number of these schemes for over 10 years, starting with Dundee in 2005. This website is another way in which we support these schemes, listing all of those that we are aware of in Scotland, with links to each authority. Read more, to see information about the schemes we support, or follow the website links to learn about other schemes - all backed by the local authority Trading Standards service.